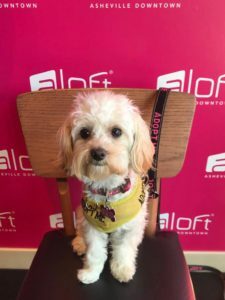 We are committed to finding homes for all the animals in our care and we are grateful to the Aloft for their role in making this program such a success. Thanks to this partnership, hundreds of deserving animals have found their forever homes. We are the voice for these homeless animals and we take our responsibility very seriously. For that reason we have an adoption process that is in place to insure that every adoption is a success. If you have an interest in adopting an Aloft dog please review the following information before submitting your application. If you have additional questions, feel free to call the shelter at 828-885-3647. We do not do same day adoptions. Every applicant will go through our standard adoption process. 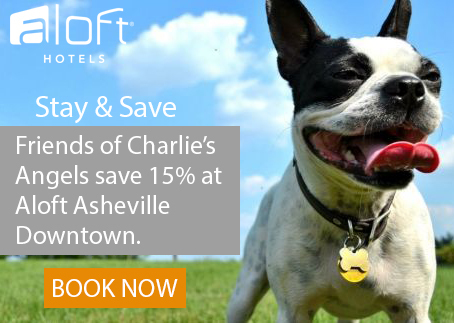 Generally, we will adopt to qualified applicants within a 4 hour drive of Asheville. If you live further away, contact us to discuss your options. Once you have submitted your application, we will conduct a vet reference, landlord reference and a home visit. Once approved you will need to come back to sign paperwork, pay adoption fee and pick up your new pet(s). We do not transport dogs. If you already own a dog(s) a “meet and greet” with your current pet and the dog you are applying for is required.